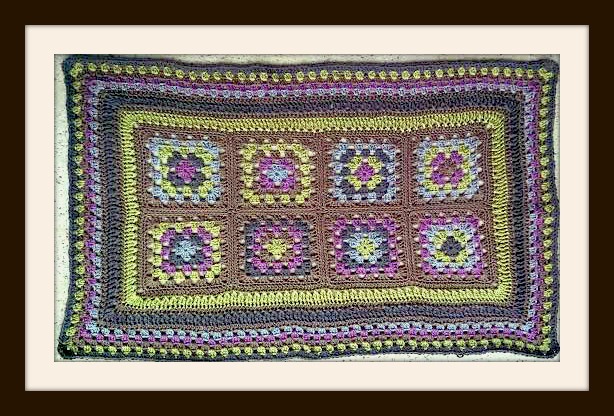 It isn’t to late to join in the Crochet-A-Long… We are all finishing up week 4… And you may ask… Why would I try to start a new project and catch up?? Or you may be a little behind and feel like not finishing... How about a little incentive!!! Yes~ A special prize package will be given away to one lucky participant!!! So,, Are you in?? I will be revealing the Special Prize soon!!! And…. This is a very special week here at Beatrice Ryan Designs… I have another surprise coming up this Friday…So stay tuned!! 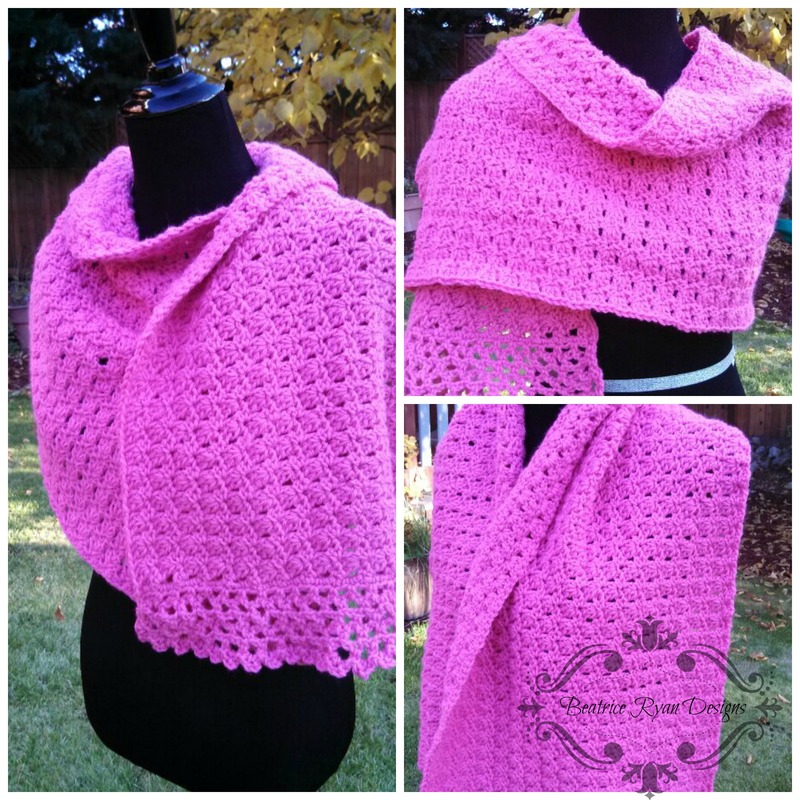 Amazing Grace Prayer Shawl is the third design in my Amazing Grace Series. 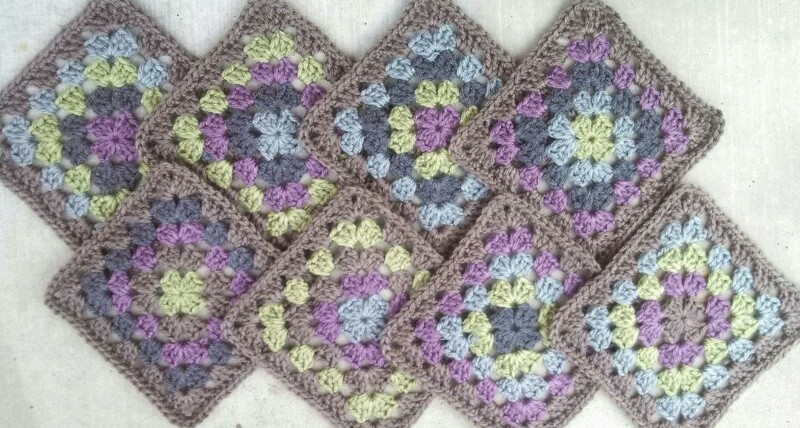 These Free Patterns are dedicated to Breast Cancer Awareness and in memory of my Dearest Friend Sandra Kay Gilb. Also available are the Amazing Grace Hat and The Amazing Grace Headband… I hope you enjoy these patterns and have an opportunity to “Pay It Forward” by donating one of you projects to help someone who is suffering or recovering from Breast Cancer. Click Here to add this fun pattern to your Raverly queue and favorites! I used Lion Brand Pound of Love in Bubble Gum,,, It was perfect! Row 36: Ch 1, Sc in 1st St and each across. Finish off. Edging: Repeat on both short ends…. Row 5-6: Repeat Rows 3 & 4 one more time. Row 7: Ch1, Sc in 1st St, (Sl St, Sc, Ch 3, Sc, Sl St) in next Ch 3 Sp. Repeat across. Finish off.